See a vehicle you want at another location? We’ll transfer it at no cost to you! Finding the perfect used car can be challenging and nothing should get in the way when you find it. With hundreds of cars to choose from across North Georgia, we realized the importance of being able to get the car to you rather than the other way around. And unlike some of our competitors, there are absolutely no fees associated with a store-to-store transfer. If you see the “Request Transfer” button next to that vehicle, it means that it will need to be transferred. Once you fill out the form, the process will begin! 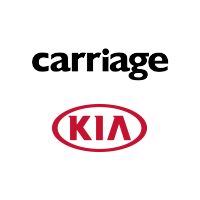 As long as no one is currently scheduled to purchase or test-drive the vehicle at the other store, one of our qualified drivers will get in motion to start bringing the vehicle to Carriage Kia of Woodstock. This will generally occur on the same day, but if we need a little more time we will let you know. After your vehicle arrives, your customer care representative will arrange a time to view and test-drive the car. If you decide to buy, a sales consultant will help you through the purchase process. Ready to get started? Just press the Request Transfer button!